Jacqui: (Question:) When Sri Sathya Sai Baba used to dress in a robe of velvet in a special colour of Magenta (darker shade) was he coming from Andromeda … … ? The Oracle: YES – and the letter was almost pushed off the table by the wine glass. Jacqui: Is there a bigger purpose why we are being used to connect to Andromeda? The Oracle: indicated there was a need for another to talk through Valerie. 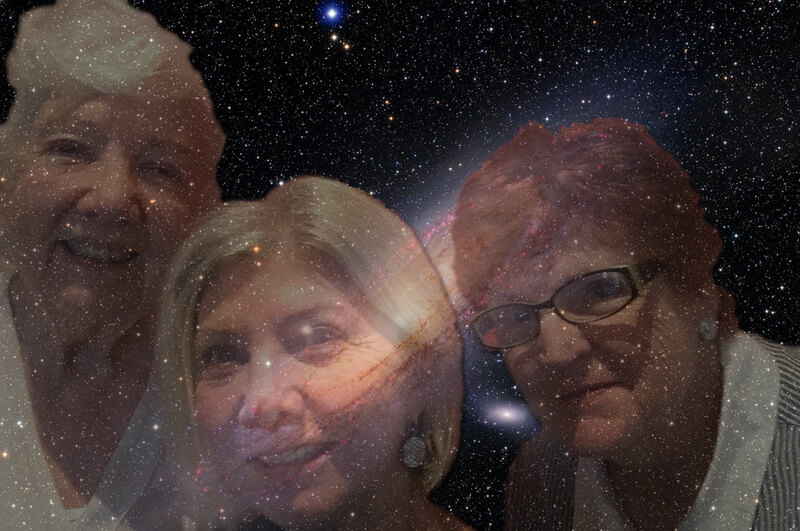 Jacqui: If they wanted us to take a photo together and to put it on Valerie’s website With all the messages received from the Sisterhood in Andromeda and from the Cosmic Sai Baba website … … ? Valerie: Cosmic Sai Baba made his presence to clarify. Cosmic Sai Baba: “It is I, Cosmic Sai Baba and Andromeda Val and we both want you to present the messages from Andromeda under the banner of the three of you. And we are pleased to hear that you would be prepared to be public and you have already said so. Cosmic Sai Baba: So is there any other question, because it has already been said, there is much that Andromeda Val can share and we hope Anna of Andromeda and Daina of Andromeda. 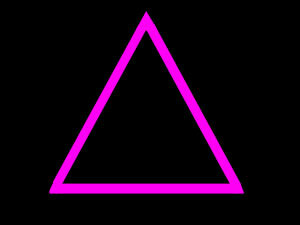 It is very important that you present yourselves as a triangle – it is a very important sacred geometric shape. Not fully understood at your level – I can assure you it is. Cosmic Sai Baba: So is there a question you would like to ask? The Group: Said No; although they did agree everything will just unfold and it will be a matter of trust. The Group: noted they had not meditated for questions? And seemed confused and very tired this day. The Group: asked the Oracle for advice! The Oracle: intimated that there was another who wished to speak. Andromeda Val: “I am Andromeda Val and I have been listening to both of you and so have your sisters – Anna and Daina – They all want to speak and they all want to speak through each of you – This you need to accept – But if you do not want to, then they will accept that also – it is your choice. It has been said, a number of times now, that truth comes through Sai Baba and that there is a need for communication to take place between the three of you – you can call yourselves ‘sisters’ if you like. The White Sisterhood. The Great White Brotherhood is well known about and this is the time for the ‘Female’ to come forth. Understand how it is: everything in Andromeda is Androgynous and so it is now as female or male – in other words they speak separately or together. Secondly, some speak from a male point of view and things are expressed differently and from a female point of view they are more gentle and encompassing, loving and nurturing. This is what is badly needed upon your Earth planet. This is why that particular aspect of the Angelic Realms wants to come forth and so the Great White Sisterhood – is speaking now. Andromeda Val: So I ask “Would you be happy about that”? Andromeda Val: “Would you be in agreement with that.”? Andromeda Val: I am speaking to you here on Earth – are you agreeing with this? Jacqui said “Yes”, but you will have to show us? Andromeda Val: How can I show you? Jacqui: “I don’t know … … I just feel I can’t do it by myself. Andromeda Val: That is why symbols are so important because they have a story that goes with the image. Andromeda Val: And it is the same with Indigenous people – they draw pictures on a rock and it has a story with it. The Great White Sisterhood: Yes! Andromeda Val: So that the more you work and keep calling upon Anna and Daina from Andromeda – see yourself connecting with them with the Magenta Light and as you do that you will find it much easier because the Magenta Light is more representative of – the radio wave – and that is how you can communicate telepathically. Andromeda Val: Do you understand? Tere is nothing to be afraid of nor is there anything that you cannot do. Andromeda Val: I can assure you because as Andromeda Val I can look back and see you have done it already. Andromeda Val: Do you understand?